Earn $1.30 in VIP credit (130 points)What's This? 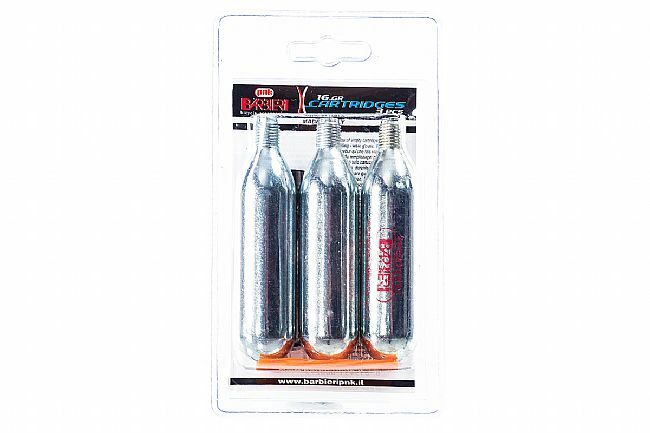 This 3-pack of 16g threaded CO2 cartridges from Barbieri are there to inflate tires fast. 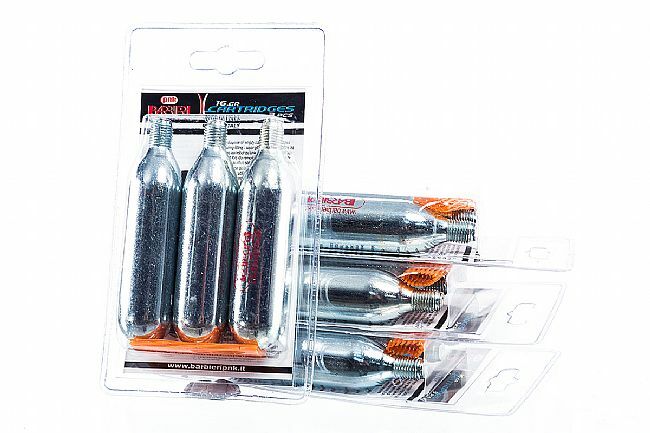 Whether on the race course or out on a training ride, these 16g cartridges will easily inflate a single 700c tire to 100 PSI. Hopefully will work. still in package until needed. THESES ARE SPARES UNTIL NEEDED.